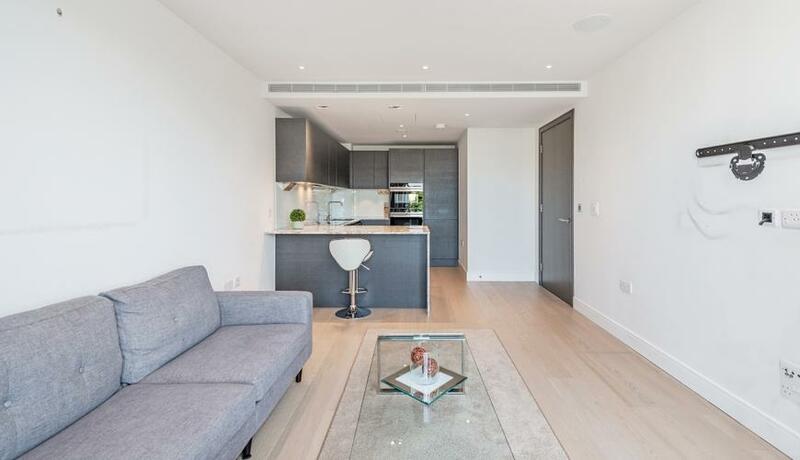 A beautifully presented one double bedroom new build apartment, located on the first floor of this desirable gated development in Imperial Wharf. This luxury apartment offers a bright and spacious open-plan reception room as well as a modern fully fitted kitchen, with doors leading onto a large private balcony. The property also includes a large double bedroom and a modern family bathroom. As part of the Imperial Wharf development, Thames Point benefits from a well maintained pedestrianised estate enjoying 10 acres of landscaped parkland; expanding a number of restaurants, shops and cafes, an exclusive health and fitness suite and 24 hour concierge. Sands End offers a range of local amenities, while bus and road links are close by for routes into and out of the city. There are several excellent local schools catering for various nationalities and a varied selection of shops and restaurants running along the Wandsworth Bridge Road.